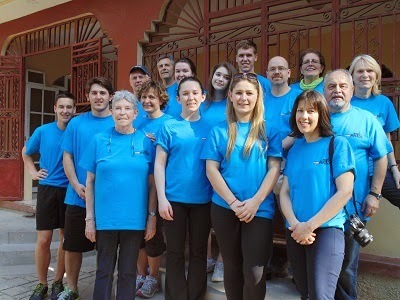 We eagerly awaited the arrival of the team from Surrey Alliance Church from Surrey, BC. They are a team of sixteen with half of them being teens. This is a fun and energetic bunch! Their plans are to paint our residence building, do some welding so the new signs can be put up, build some bulletin boards and shelving, do some tiling and prepare to go to Tapion Children's church on Sunday to share with the children there.